It’s also that moment that a bank—traditionally a seemingly faceless brand—begins to mean something. Something more than just the card in your wallet. At Citi, these experiences are referred to as “hero moments,” customer engagements curated from a diverse sponsorship portfolio that is helping the brand foster emotional connections and feel-good moments that only happen when Citi and the customer together unlock access to exclusive experiences only Citi can provide—and only Citi customers can engage in. It’s the ultimate experiential win-win. And it’s all part of a strategy designed to drive brand preference in one of the most competitive, cluttered product categories in the world. It’s a strategy that’s helping Citi wrangle an enormous customer base (200 million customer accounts in 160 countries with more than 50 million branded credit cards in circulation in 2016) and speak to vastly different demographic groups ranging from influencers and “in-betweeners” to established adults and Baby Boomers. And in an interesting twist, it’s a strategy that’s also creating breakthrough branding opportunities for artists who might not have engaged with any brand (ever), had it not been for Citi’s unique approach. Like the Rolling Stones. And Billy Joel. And while entertainment is big business for the brand (it represents the sixth largest consumer spending category in the U.S.), Citi also incentivizes feel-good spending with its cards through exclusive opportunities in other spaces such as culinary and sports. Cardmembers can shop for and purchase these tickets, packages and other experiences from the Citi Private Pass digital platform—a non-gated site by design, so non-cardmembers can see what Citi perks are offered, too. The entire program is driven by Breithaupt, named to the Billboard Power 100 List twice, who quite literally helped build the Citi entertainment portfolio from the ground up. 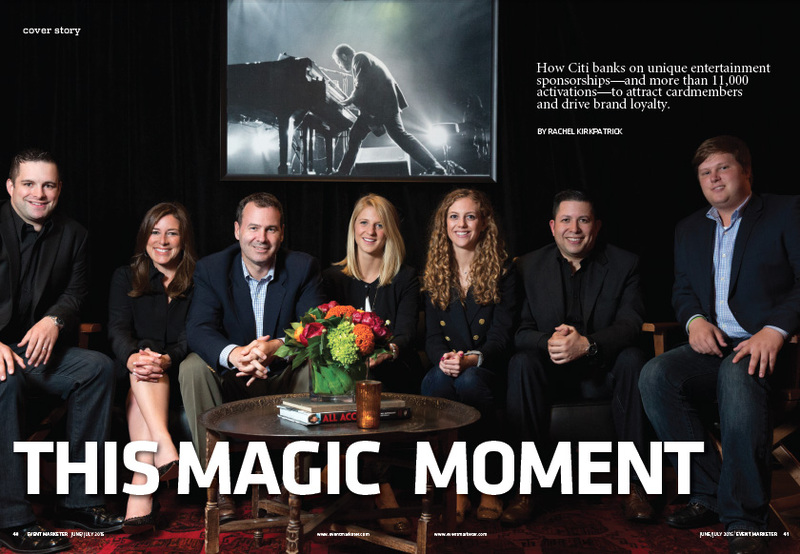 While in a partnership role at Citi nearly a decade ago, she was tasked with the challenge of using different tickets and assets typically up for grabs around the office to build an engagement strategy via an entertainment access platform. Customers would feel the benefits and receive the perks of choosing Citi. From a fledgling budget and staff, Citi Private Pass was born as “a unique differentiator,” she says. Fast-forward to today, and the portfolio is a major engagement engine for the brand. It’s involved in more than 11,000 events each year, including more than 6,000 events in music that cardmembers have access to. 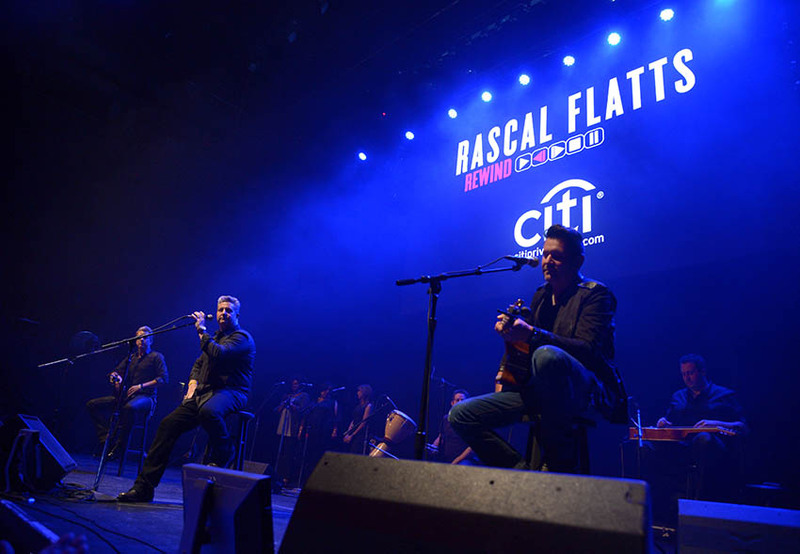 Citi last year worked with more than 1,400 music artists and more than 300 athletes. Keeping the engine humming is a support system of partners, including New York City-based MAC Presents, lead experiential partner since 2013. “We use sponsorships to engage our consumer portfolios around the world through the lens of making sure that cardmembers are thinking of us and using our products when they’re going to events across all categories. Anytime they’re going to make a purchase or consider going to something, we create an opportunity for them or an advantage for them to do something exclusive,” Breithaupt says. It is the magic of what happens when Citi activates around these sponsorships that makes the portfolio unique. 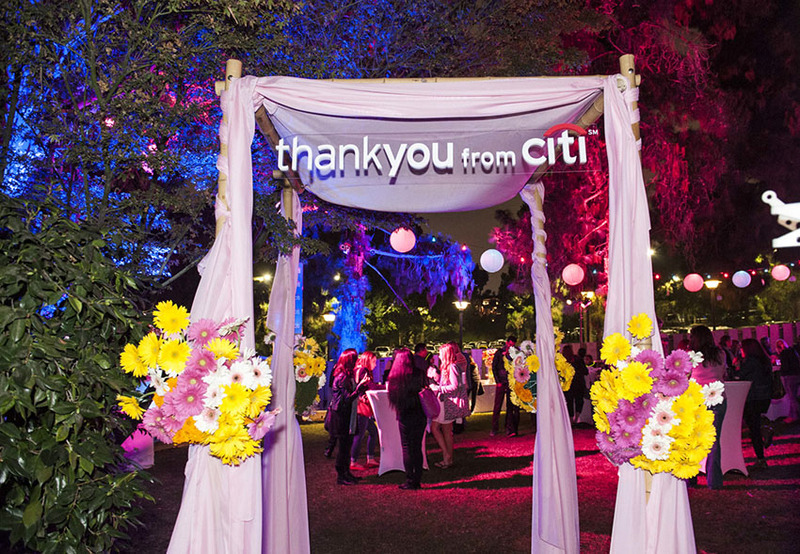 From real-time social media integrations, to surprise-and-delight strategies and upgrades, to stylish suites and lounges, Citi’s sponsorship strategy involves a multitude of touchpoints, from ticket pre-sales to VIP experiences to p.r., social and mobile. And quite often, access to artists that have never said yes to a partnership deal—no less with a bank. “Music represents about 65 percent of our platform. It’s the universal language and allows us to reach and connect with a broad range of segments,” Breithaupt says. It took time to build credibility in the music community and with fans, Breithaupt says. A major assist came in the form of a strategic alliance with concert promoter Live Nation in 2008, when Citi took American Express’ spot as the “official card,” earning naming rights and privileges for its consumers. 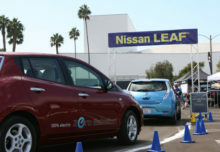 The portfolio started to take off in the entertainment space after that, with an array of talent including Queens of the Stone Age, Florida Georgia Line, The Rolling Stones, Foo Fighters and Billy Joel in the brand’s roster. 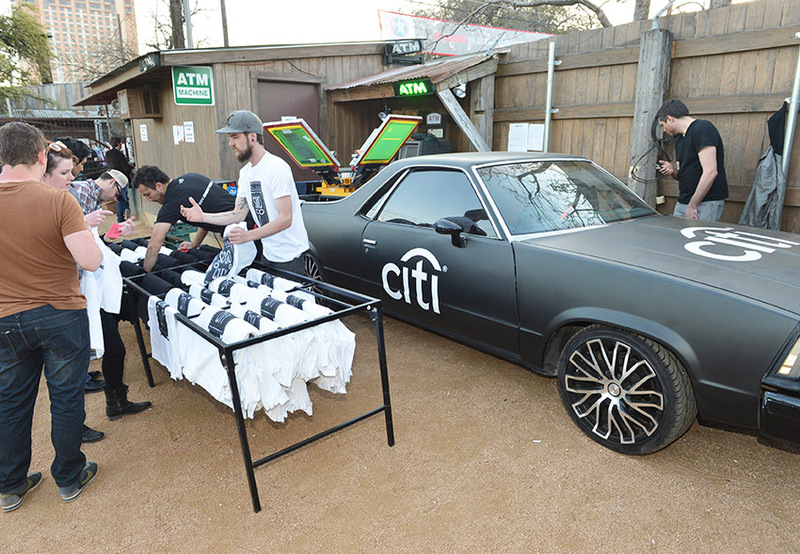 While capturing ticket purchase transactions is a major part of the strategy, Citi has also taken an active role as a key player in the evolving music industry, parlaying never-before-done partnership ideas into exclusive experiences for cardmembers. Citi and Coldplay, for example, teamed up for the release of the band’s album “Ghost Stories.” Some 800 Citi cardmembers were invited to a Sony Pictures sound stage in Los Angeles transformed into an enchanted forest with fog effects, 360-degree video screens and lasers. Coldplay performed the album for fans and filmed video for a DVD and TV special (another example of event content becoming mass marketing content). Citi and Katy Perry teamed up for the release of her album “Prism,” hosting a special event at the Hollywood Bowl in L.A. to benefit Young Survival Coalition. Pre-sale tickets were offered to cardmembers, but in addition, cardmembers could purchase a pre-show experience featuring an album-themed garden lounge with food and refreshments, and a surprise Q&A with Perry tied to Twitter. Perry then performed a set of acoustic songs. Case in point: Citi’s sponsorship of The Rolling Stones’ 50 & Counting Tour’s official tour app for fans. The app offered set lists, breaking news and never-before-seen footage of the band. In addition, users could push song nominations to the band in real-time, and they could view live footage of the band performing on stage that nobody else could see thanks to GoPro cameras strategically placed onstage. 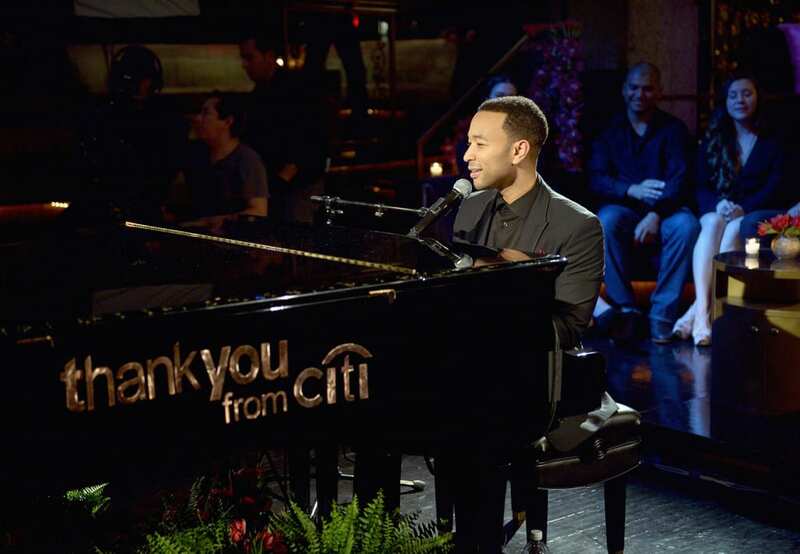 And who can forget the ongoing partnership Citi has with John Legend? As marquee sponsor of the Billboard Music Awards, Citi secured the crooner for intimate performances of the hit ballad “All of Me” in New York City and L.A., offered up to just 100 cardmembers. The program included a sweepstakes tied to social that drove engagement and chatter. The L.A. performance was filmed and used as a commercial spot during the live awards broadcast—introduced by none other than model Chrissy Teigen, Legend’s wife and the inspiration behind the song. Citi became the second most tweeted moment of the night, and the “commercial” has nearly two million views. In experiential, however, you might say Citi’s “go-to” activations are the many branded lounges it often offers up as part of special ticket purchases. The stylish spaces located inside the concert venues (with a separate entrance, too, allowing folks to skip the lines), have comfortable seating, free drinks and food, and décor that ties to the artist and stimulates social sharing and photo ops. Citi is in a partnership with The Piano Man himself, Billy Joel, at Madison Square Garden, and offers the special lounge experience to ThankYou cardmembers via Private Pass. “We’ve created this safe place for artists where they know we’re not trying to get in the way of the experience that they have with their fans—we’re there to enhance it,” Breithaupt says. While its entertainment perks are mostly reserved for cardmembers, Citi’s strategies are designed to touch non-cardmember fans, too. In the festival space, for example, the brand leverages its three-story Citi SkyDeck at Lollapalooza, Coachella, Sasquatch, Voodoo Fest, Farm Bureau Live and South by Southwest, among properties. It’s typically positioned close to stages and features bars, big screens live-streaming the concert, foosball and pool tables. 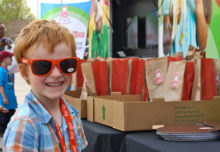 Social integrations like photo activations help push the experiences out to fan social networks. 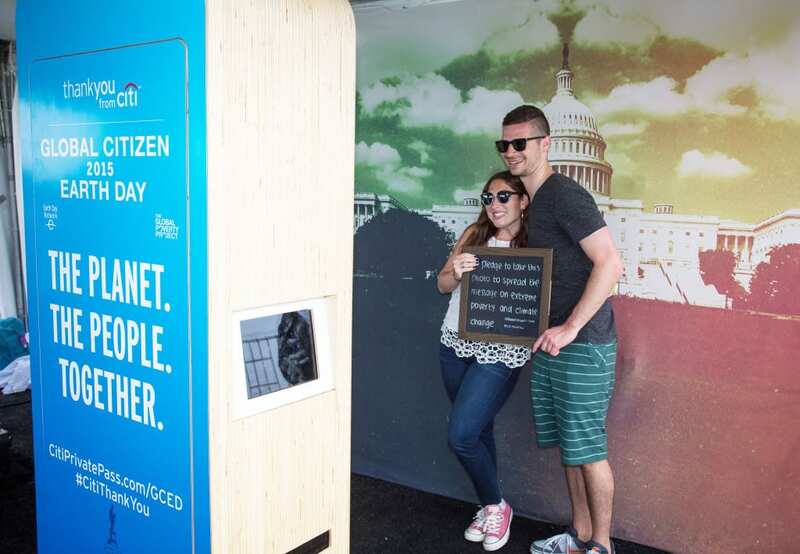 At the inaugural Global Citizen Earth Day festival in Washington, D.C., Citi offered an environmentally-themed #CitiThankYou activation to all attendees outside its VIP tent. There were pledges to end extreme poverty and climate change tied to social media, solar-powered charging stations and free hand-printed t-shirts. To tap into another big spending category in the U.S., Citi sealed a partnership in the culinary space with Share Our Strength, an organization to end hunger for children that hosts a series of more than 40 events in the U.S. Among them, No Kid Hungry dinners and Taste of the Nation, featuring the best chefs from each market and experiential elements such as lounges, mixology and social media vending machines. In addition to that partnership, Citi hosts its own series of culinary offerings called Citi Table. Other components of the sports portfolio include the Hockey City Classic. As a sponsor, Citi takes over venues for the tournament and offers perks and privileges to cardmembers such as skating opportunities, mock games and meet-the-talent events. Through the Chalk Talk series, Citi has offered sports fans opportunities to purchase pre-game packages that involve Q&As with players or coaches, a meal and the game ticket. 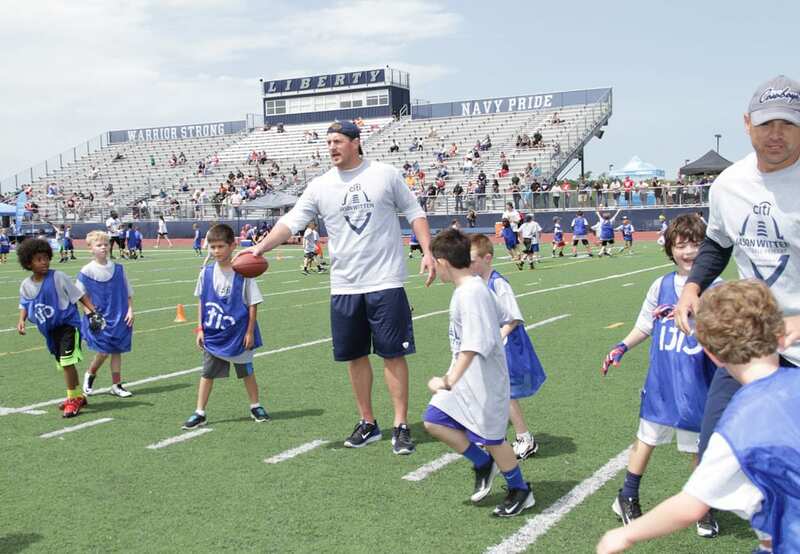 In addition, Citi and partner athletes have hosted fan experiences such as culinary events at that athlete’s favorite restaurant or with the athlete’s favorite chef—a strategy where Citi is finding unique opportunities to merge sponsorship channels. It’s another example of how Citi has facilitated partnerships between talent and fans, in this case, athletes, their fans and their favorite hometown spots. And in sports or culinary, cardmembers may be touched by some of Citi’s signature and portfolio-wide surprise and delight experiences—a free bottle of wine or dessert while out to dinner, just for paying with a Citi card. Or free VIP parking space just for whipping out your Citi card to pay for parking at Citi Field in New York. Breithaupt says the secret to Citi’s success is authenticity and understanding that its role is to enhance. 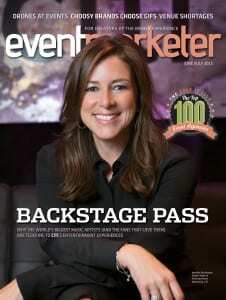 Success also comes from making sure engagement doesn’t end on-site at a concert or at a game. Through exclusive content hosted on Citi Private Pass, consumers are constantly checking back in. 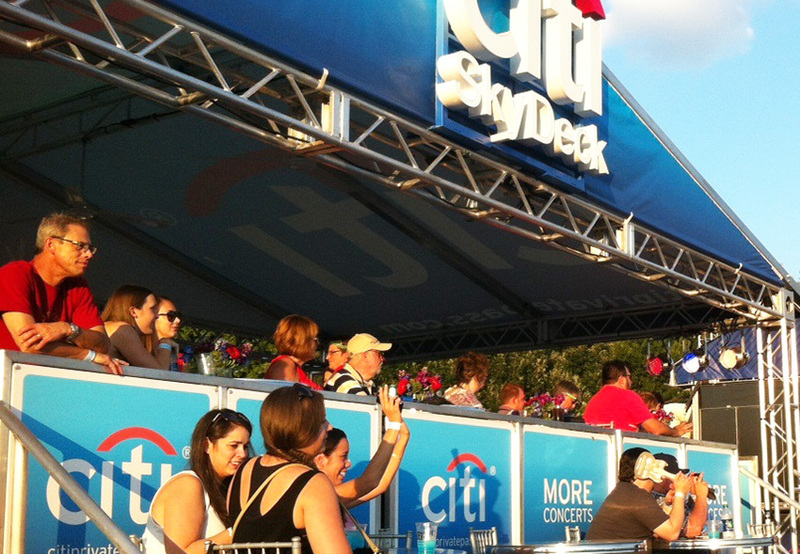 A couple of programs Citi is excited about include a partnership with Live Nation and Yahoo! called Backstage with Citi, an interview series with artists and bands hosted by Katie Couric. These are no-holds-barred interviews with a series of rapid-fire questioning at the end. It’s content that is generating buzz among fans as well as the media. And then there is Yahoo! Screen Live, a program of live-streamed concerts 365 days a year. Artists ranging from Justin Timberlake performing in Iceland to Lorde performing in Hawaii have been featured. Coupled with live events, these strategies are paying off in terms of “share of heart and mind,” especially among millennials that don’t trust traditional advertising and the competitive nature of the credit card industry. Put simply, consumers today are bombarded from all sides with points, upgrades, miles and credits. In entertainment, Citi has been able to carve out a niche. Over the past 18 months Citi has been slowly building the program out globally, selling through the Private Pass platform for concerts in the U.K., Paris, Asia, Australia and soon, Mexico City. Indeed, the strategy is officially on the global stage.